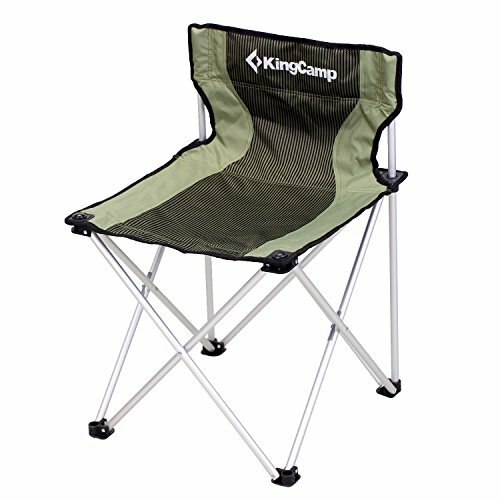 KingCamp lightweight portable strong stability heavy duty folding camping chair is perfect to be used indoor, or bring it to outdoor activities for picnic, camping, beach, patio parties, fishing, and more! The weight is 3.7 lbs and the size only has 29 x 7 x 6 inches after folded, which make the chair portable and light enough to be carried like a small luggage on a trip, fits in most car trunks, satisfying your camping needs. No tools needed! The chair is foldable design, so it is easy to open or fold in seconds when you need to use it at anytime and help you save much time. The bracket is connected with the fabric material, which is convenient to expand. The size of the chair (20 x 20 x 29 inches) makes the chair big enough for adult and the chair with 1200D oxford fabric which is soft and comfortable.